MAINTENANCE OF FOILS: here are a few guidelines that I hope you may find useful for both non-electric and electric weapons. The foils by their very nature are quite robust, but the life of a blade can be greatly extended by careful and regular maintenance. The biggest enemy you will face off the piste is RUST, especially when that blade is idle for a few weeks. Get into the habit of wiping the blade down with a soft cloth before and after each fight or practise session. In fact, do it when you use it. Invest in some lubricating oil such as WD 40. Spray some oil onto the blade the day you are going to use it and again when you are going to put it away. Make a scabbard for your blade (tubes made from cardboard, plastic electric conduit and even hosepipe will protect the blade). This will also add strength to your kit bag and protect your white fencing gear from grease and rust marks. TOP TIP. MAINTENANCE OF FOILS. are a few guidelines that I hope you may find useful for both non-electric and electric weapons. Cut the end off an old tie to line the tube to really guard against rust. The Anglo Saxons used fleece for this purpose as the natural lanoline in the fleece kept rust at bay. The modern day combination of WD 40 and a tie will act in the same manner. Keep handling of the blade to a minimum as sweat causes rust to occur very quickly. Look at club blades and you will find the rusty fingerprints of guilty fencers. When storing your blade during long periods of inactivity, keep them in a warm dry place and apply an extra coating of oil or even furniture wax - BUT DO NOT WIPE IT OFF. Rust on the blade can be dealt with in a number of ways; using either chemical, manual or a combination of both. I would always recommend using a coating of oil and lightly abrade with a foam-sanding block. The same result can be achieved with fine emery, glass paper or even a scouring pad BUT NEVER USE A FILE. MAINTENANCE OF ELECTRIC WEAPONS. Electric Weapons require more maintenance just through normal use. You should possess, as a minimum requirement: an Allan Key for pistol grips and electrical insulating tape. You should also invest in a jewellers point screwdriver, small screwdriver and mini pliers. Spare parts should include: tips, springs, and grub screws. 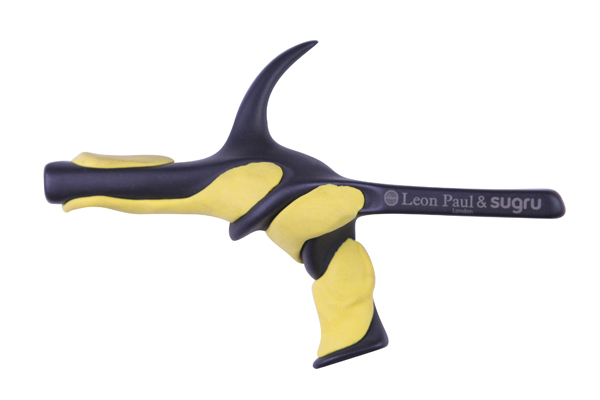 I may be able to do repairs on Leon Paul weapons for you if you are not confident yourself. Before you buy anything new please check with me as I usually have some good quality spare equipment, including parts like grub screws, handles and full blades. Let me know if you have any equipment you would like to sell on through the club. (Extra care must be taken when cleaning electric weapons. The top surface should be avoided as you run a real risk of breaking the connecting wire and ruining the whole blade). Want to know how to customise your handle for optimum performance? Get tips from the Blademaster. Consultant on Leon Paul's new Evolution Handle. Being the local Custodians of the Art Of Fencing, the Custodians Fencing Club was Born.